I know I disappeared for a bit but I’m back with some new content that I’m pretty sure you’ll enjoy. 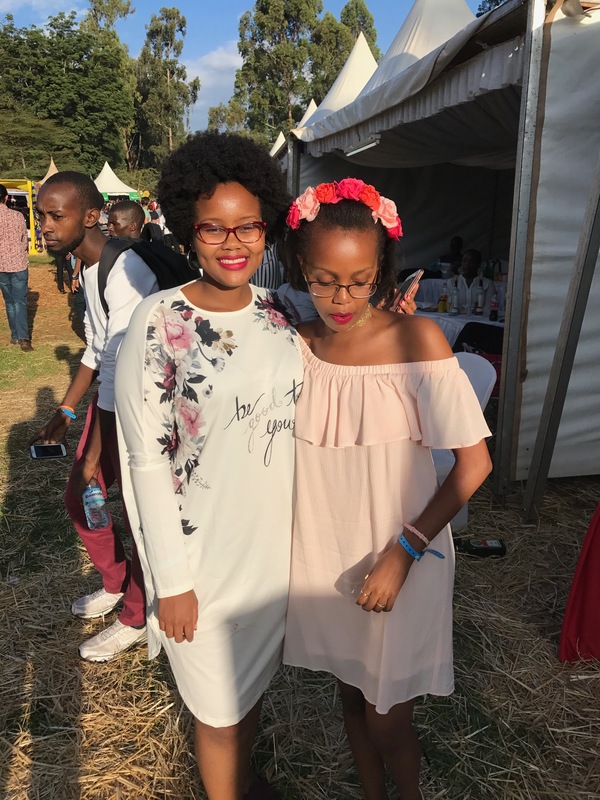 Today’s post will feature snippets from the amazing Blankets and Wine Festival that took place this past Sunday at Ngong Racecourse. Personally, I was attracted to this edition because of the amazing Kenyan lineup and of course the extremely talented Nneka. (I’m not really an AKA fan but his performance was pretty good) I’ll be sharing some pictures of my outfit as well as some stylish pieces my friends wore and I’ll be including some of their Instagram handles. I hope you enjoy scrolling through the pictures. The gorgeous and ever stylish ladies: Patricia (@matupatricia), Wangari (@wxngari) , Bamidélé (@ahren_bami) & Ashley (@ashley.wk). Natural Hair Queens Kayo & Teddy. Twinning in off the shoulder dresses. My amazing twin sister, Sharon (aka @mykenyanpuff). Sharon and I both went for a pastel theme unknowingly, call it twinstinct!